Ambidextrous, latex-free exam gloves will not cause allergic reactions in latex-sensitive individuals. 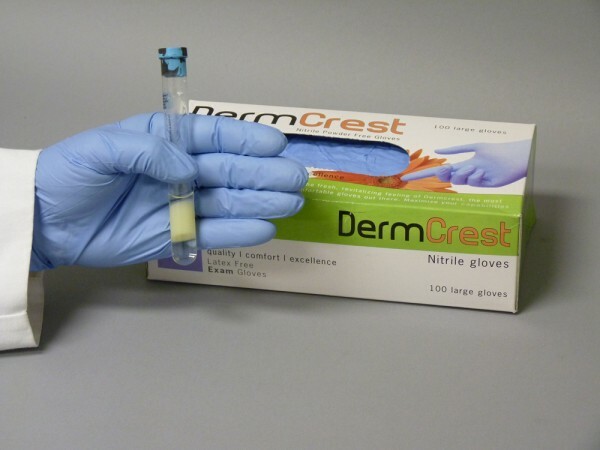 Nitrile gloves have low friction resistance and are very easy to slide on. These medical-grade gloves have met rigorous FDA testing requirements. Lightly textured for improved grip. Blue in color. Standard Spill Kit includes protective outerwear, bags and biohazard containment/cleanup supplies.